If you're a self-employed freelancer like me, you know full well the perks of living the self-employed lifestyle, along with the downsides. For instance, how maddening dealing with income that fluctuates wildly can be. And as you're essentially running your own business of one, you're responsible for handling all your benefits, including health insurance. When it comes to saving on health care, you'll want in on all the tips and tricks to make your dollar stretch. That's why health savings accounts (HSAs) can be so valuable for workers like me. While you can't predict developing a chronic illness or getting sick, figure out what routine and preventative care you'll need. For instance, I schedule my annual check-up every spring, and get lab work done twice a year to check my cholesterol and blood sugar levels. I also see an OB/GYN at the end of the year, and usually wait until the end of the year to schedule other appointments that aren't urgent: eye exams, visits to the dermatologists, and so forth. While my current needs are fairly simple, if you require more frequent doctors' visits, prescription medications, you'll want to budget accordingly. Because funds in your HSA roll over (you don't need to spend all the funds in your account by the end of the year, like with an FSA), you don't have to feel rushed to get your balance to zero by December. If you're having a lean month, tap into your HSA funds to pay for eligible expenses. For instance, because I live in sunny Southern California, I need sunblock year-round. That's eligible, provided it's SPF 15+ and broad spectrum. Plus, I can purchase pain relief products, eyecare and lens wipes, and even advanced diagnostic products -- they're also typically eligible expenses. To save money, you can poke around HSA Store and load up things you need in your cart and see what the total is. If you're trying to stay within budget, it's easy to see how much you'll be spending, and remove or add items in your shopping cart accordingly. But, if you're having an awesome month income-wise, consider putting a bit extra into your HSA account. That way you'll have it tucked away during the slower periods. The contribution limits for 2019 are $3,500 a year for those participating in their HSA-qualified health plans as individuals, and $7,000 for those participating as a family. For instance, you can commit to socking away 5% of "extra" money you earn in a lucrative month into your HSA. As freelancers, we're prone to feast or famine with how much money we're raking in. During the lean times, tap into your HSA to pay for out-of-pocket medical expenses. You can also use it to purchase qualifying health items that you might use on a regular basis. 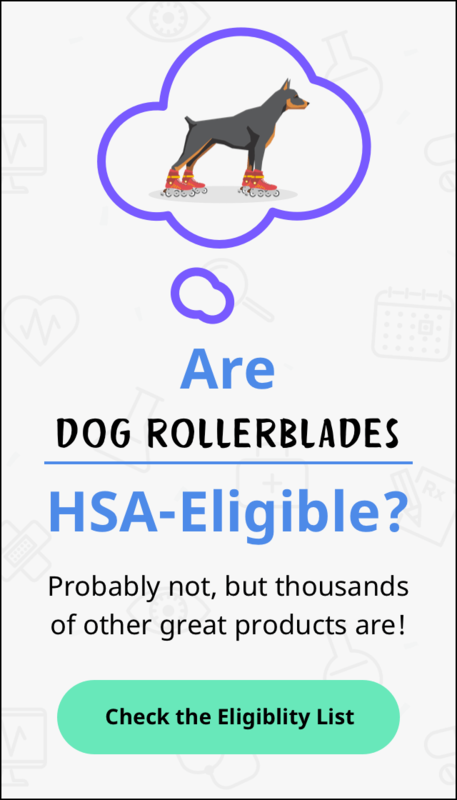 What you can purchase with funds from your HSA could surprise you.